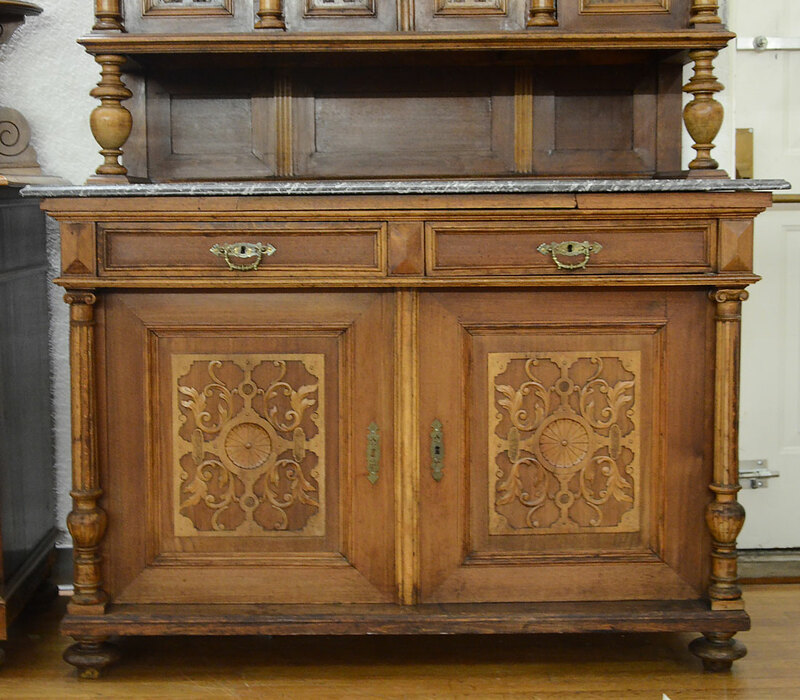 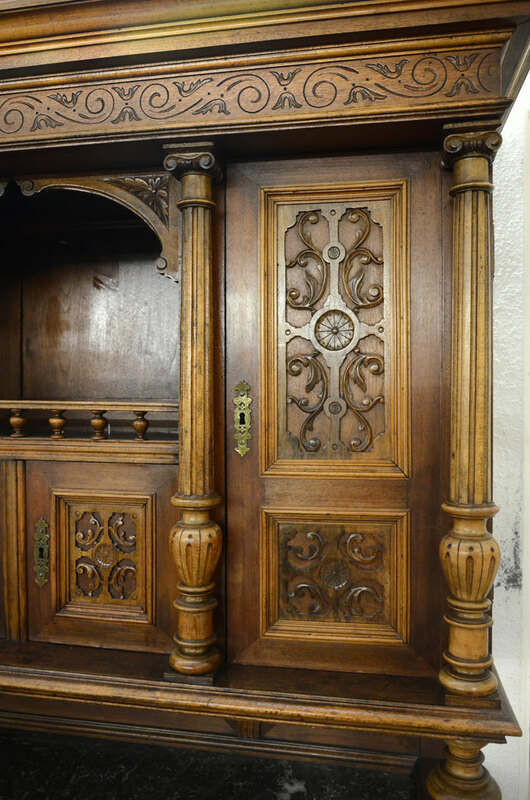 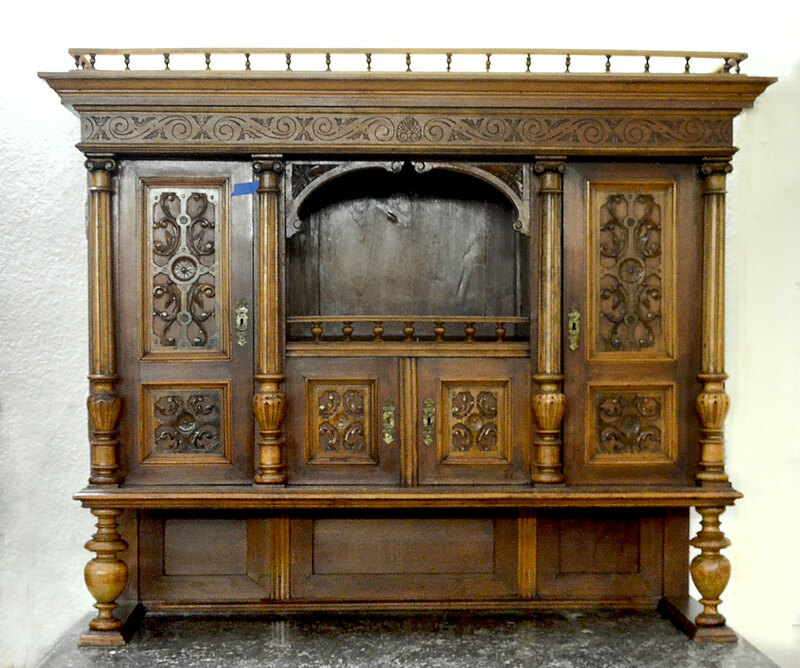 GERMAN MARBLE TOP CARVED COURT CUPBOARD: Victorian era sideboard / cupboard, stick and ball gallery over molded cornice and carved pediment, center open storage over 2 doors, door either side, turned and fluted full columns, turned supports. 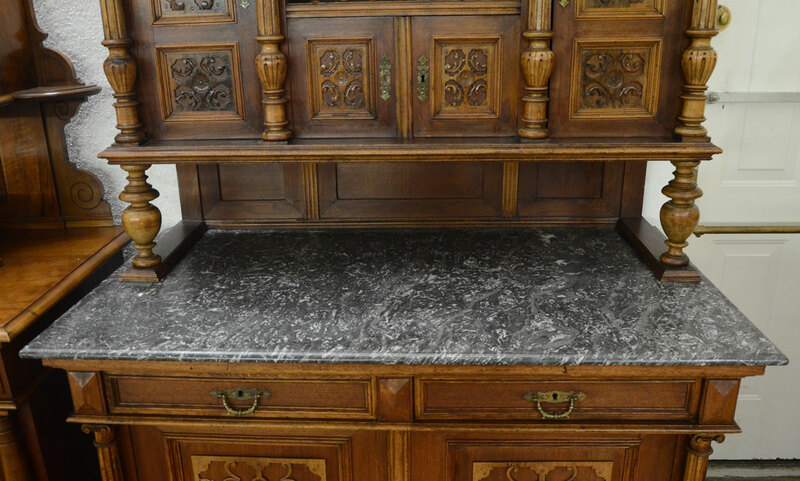 Base with marble top, 2 drawers over 2 doors with carved panels, turned feet. 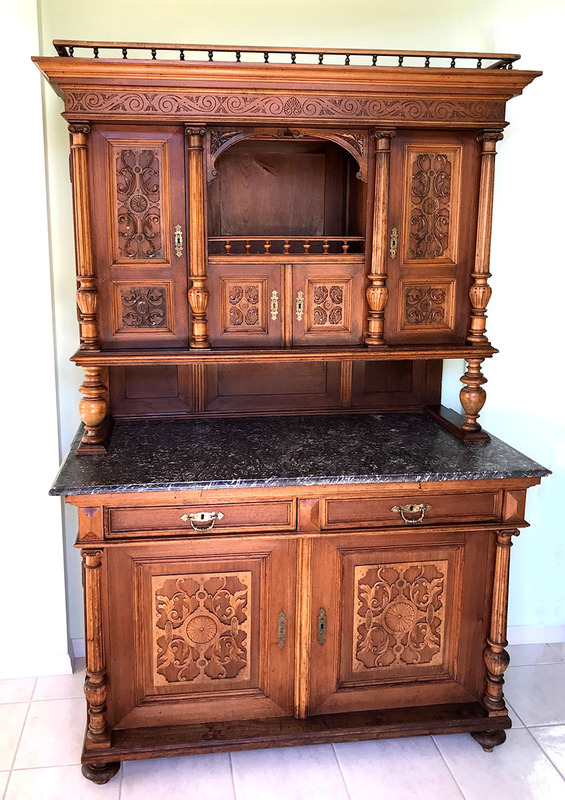 Measures 81'' h. x 53 1/2'' x 28 1/2''.